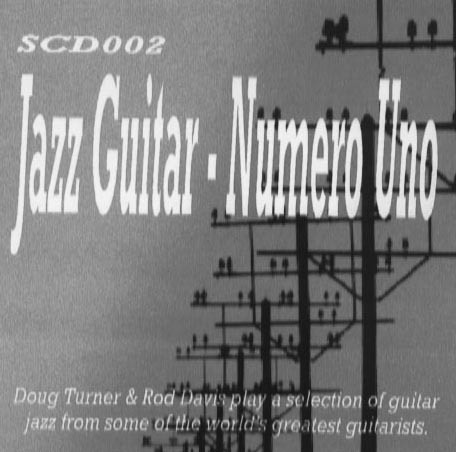 A great CD in which Doug Turner and Rod Davis play a selection of jazz guitar numbers from some of the world’s greatest jazz guitarists. Enjoy the fabulous sound of Doug’s vintage Gretsch Country Gentleman guitar (it was once owned by Hank Marvin) as he powers his way through these great tunes, accompanied by Rod Davis. The CD contains just seven tunes, Django’s Castle (Django arr Chet Atkins); Night Rider (Jimmy Bryant); Teach me tonight (Kenny Burrell); Don’t get around much any more (George Barnes); Greensleeves (Kenny Burrell); Street where you live (Thumbs Carlile) and Misty (Joe Pass).